our quiet terrace and enjoy the sun . 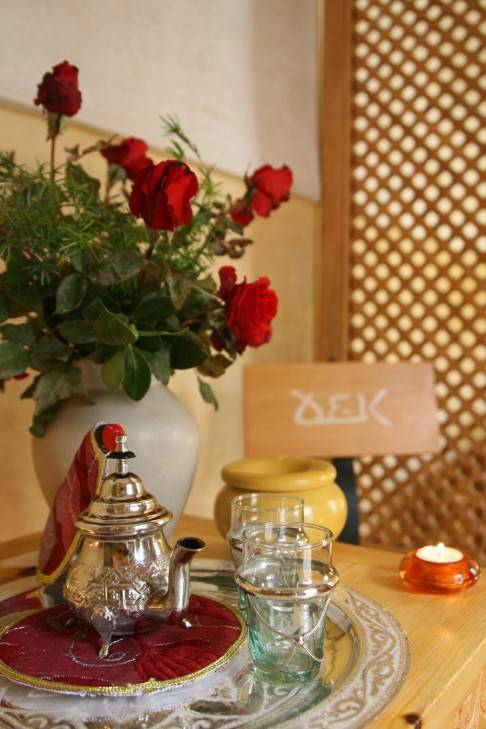 Afterwards they may sample the fabulous Moroccan cuisine on the patio. 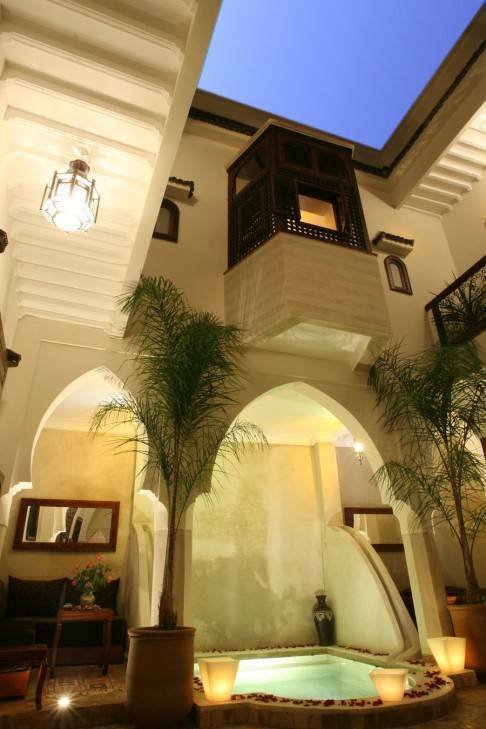 The Riad is built around 2 flower-filled patios in the center with nice swimming pool, includes six rooms and nice terrace roof. 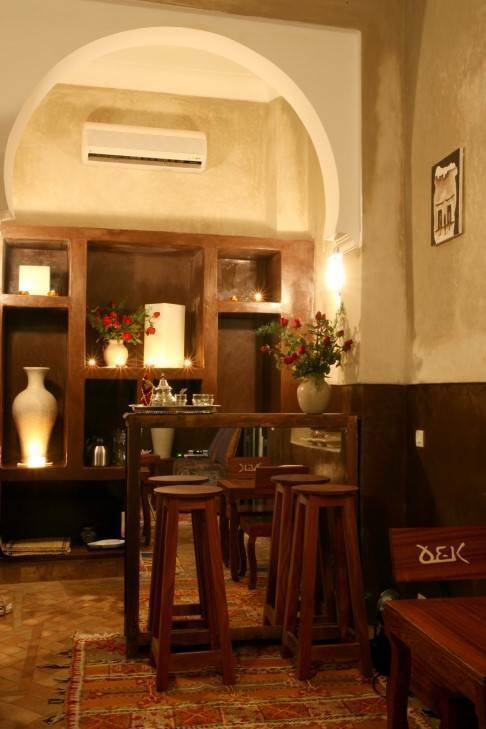 Terre A very authentic room, all in tadelakt and bricks arcades to make you to live in the spirit of the nomads, founders of the city of Marrakech. Room with shower. Suite Superior Coeur The suite overhangs the basin. It is the only suite decorated with a Menzeh (traditional closed balcony in carved cedar) very rare!. 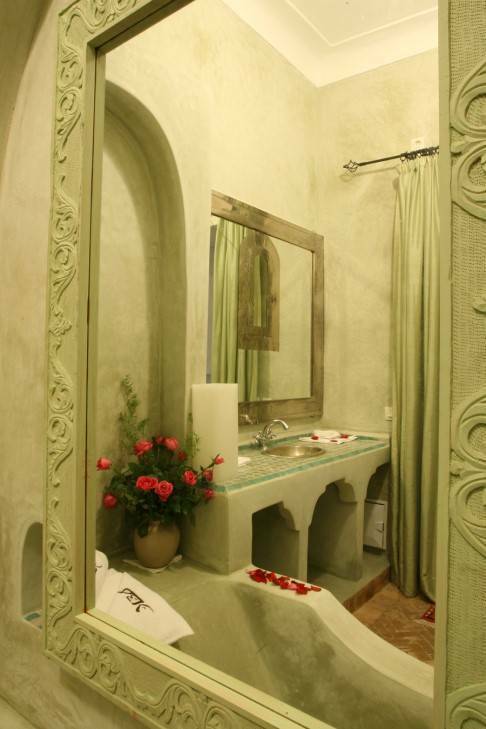 A splendid bath-tub with arch is located in front of your bed!. In the Menzeh, we designed a living room corner to have some rest in all intimacy with the top of the basin. Suite Nourriture The road of spices is the main topic of this room rich in hot and cordial colors. 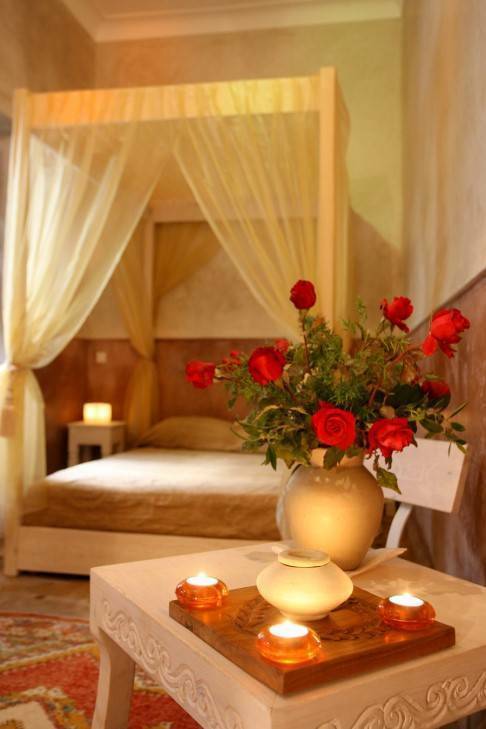 Particular atmosphere guarantee, full with scents and happiness. Room with shower. Suite Vie This suite is located at ground floor (handicapped access approved). It gives on patio with direct access to the swimming pool. Environment is very soft, resting. 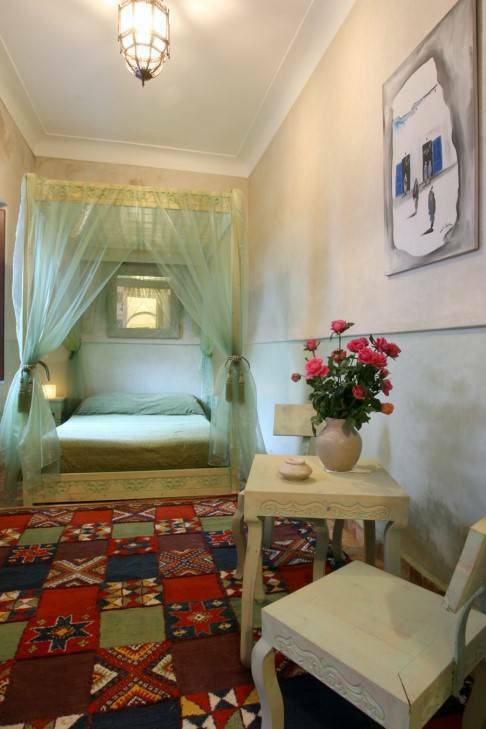 Room equipped with a baldachin bed, very roomy shower with sat.